1989 Tiara Open Fisherman, 27' 1989 Tiara Open Fisherman $44,000. Call 954-524-8967 or 954-421-7227 ONLY 400 ORIGINAL HRS. 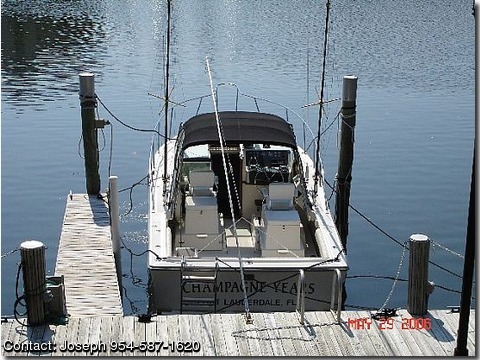 WELL MAINTAINED BY RPM DIESEL ENGINE CO.
TWIN 270 HP GASOLINE FRESH WATER COOLED ENGINES. WASH DOWN FRESH AND SALT WATER PUMPS.